A clogged toilet is a disgusting problem that’s all too common. The good news is that they can usually be solved by the homeowner. In some instances, however, a major clog may require the help of a professional. When toilet drains become overwhelmed with non-flushable items and excessive toilet paper, you need professional clogged toilet repair. 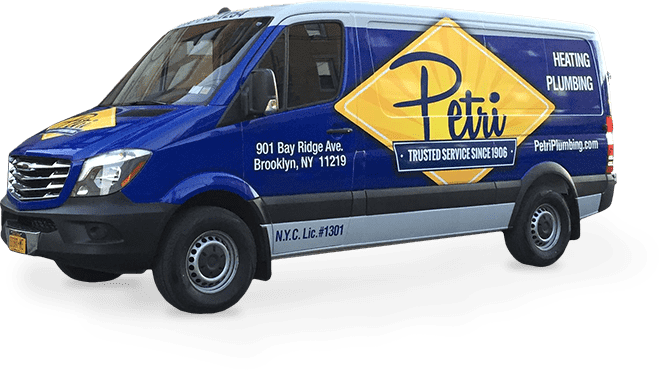 At Petri Plumbing, we’re here to help with your Brooklyn clogged toilet repair needs. If the steps below don’t help you successfully unclog your toilet, contact us for professional toilet unclogging services by calling 718-748-1254. Most toilet clogs can be removed using a plunger. If you have a completely clogged toilet with water overflowing, wait about 10 minutes for the water level to drop. When using a plunger, go easy at first. The bell is initially filled with air, and plunging too hard could send water spraying all over your bathroom. After the first plunge, push more forcefully. Be sure to maintain the seal. This action forces water in both directions and loosens most clogs. If the plunger doesn’t work, try using a drain snake. Insert the end of the snake into your toilet, and turn it clockwise to screw the tip into the clog to break it up. The debris may also wind onto the wire so you can remove it from the drain. No matter how stubborn of a clog you have, avoid using chemical drain cleaners. The harsh chemicals can damage your pipes, and overuse can lead to corrosion and leaks. They’re also very dangerous to you and your family. 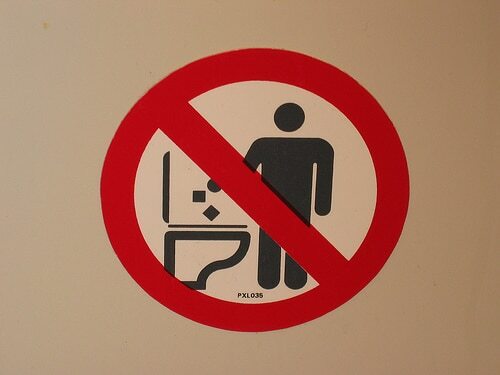 If they steps outlined above don’t get your toilet draining smoothly again, contact Petri Plumbing. We offer fast, affordable clogged toilet services in Brooklyn, and we’re here to help with all of your plumbing needs. For help with your clogged toilet, call 718-748-1254 now.